The product leverages 200 mL UltraChrome HDX 10-colour ink cartridges. It supports a 10-channel PrecisionCore TFP printhead that includes an ink-repellant surface coating, along with improved dust and static control for reduced nozzle clogging and maintenance. It also supports printless nozzle checks for time, production and resource efficiency. 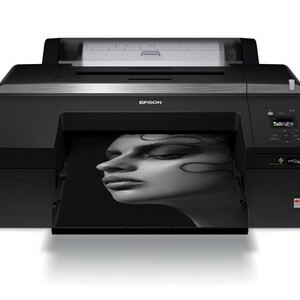 The printer can support two different ink configurations: one that uses ‘light light black’ and another that uses violet ink. The light light black configuration delivers smooth and neutral tonal transitions and support for the advanced black and white print mode, which is suitable for photography, fine art and graphic design applications and delivers 98% PANTONE coverage. A violet ink configuration achieves an expanded colour gamut, suitable for commercial, graphic and proofing applications. The product has a power-driven roll media spindle, suitable for producing panoramas and roll printing up to 30 m, and an internal high-speed single pass rotary cutter. The high-capacity cassette can hold up to 100 sheets of premium photo paper for high productivity printing on sheets up to A2+. It has a front feed straight path for delicate fine art sheet media, including poster board, up to 1.5 mm thick. Auto-switching between roll and cassette sheet feeding allows both sources to be loaded at the same time. The product printhead delivers high print speeds with 360 nozzles per colour channel, with variable-size ink droplets as small as 3.5 pL. 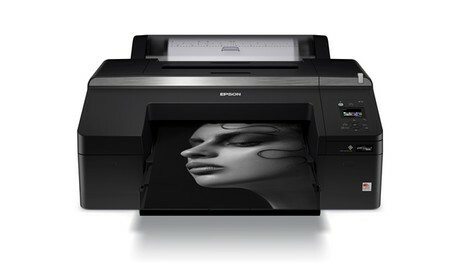 It also has a precision dot screening algorithm; borderless printing; optional SpectroProofer that provides automated colour management and verification-related tasks for a range of proofing applications; and an LCD control panel with full-colour 2.7″ LCD panel that allows for easy set-up, control and maintenance of the printer. 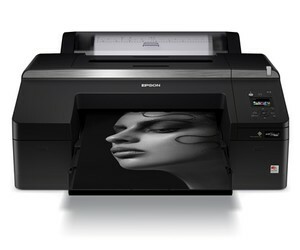 I am interested in Epson SureColor P5070 colour inkjet printer .